Built by Bell in Buffalo, NY. Constructors Number 554. Delivered to the U.S. Army. Disassembled and shipped overseas to Australia and reassembled. Assigned to the 8th Fighter Group, 36th Fighter Squadron..
After running low on fuel on transit from Townsville to Port Moresby the aircraft was landed wheels up inland on the Cape York Peninsula were the aircraft remained until it’s salvage by the Cairns Aircraft Recovery Team in 1971. Stored for a period at Mt Isa it moved to Precision Aerospace in Wangaratta in 2000. 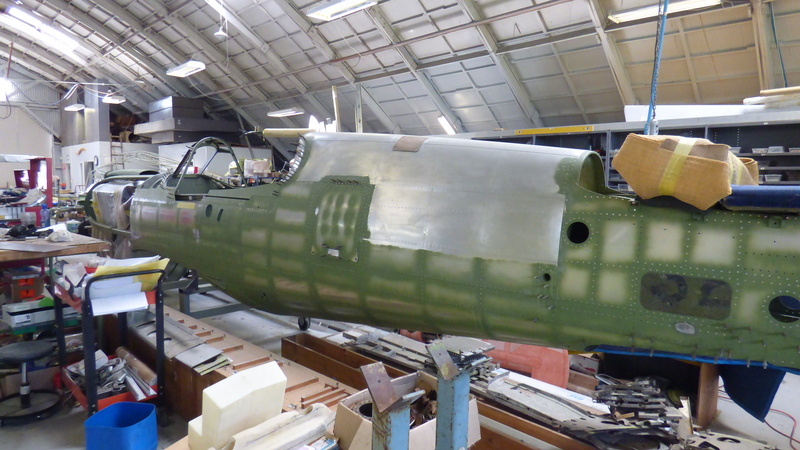 It is currently being assessed prior to the final phase of restoration to flying condition. Lovely :-) I've tried to find on the site the other two aircraft they speak of, my guess is they'll be Jerry Yagen's Ki-61 Hien/Tony and his Kingfisher. Cannot wait for those Ki.61s.... they are by far and away my fav Japanese fighter. Bring them on ! Very interesting cockpit controls if you ever get up close and personal with one. Super, super excited to see a P-39 in NZ! My top three WWII fighters which I'd love to see flying in person are in order the Defiant, the Brewster Buffalo and the P-39. Given that the first two aren't likely to happen anytime soon (although these days who knows what's possible!) I'll settle happily for the Airacobra. 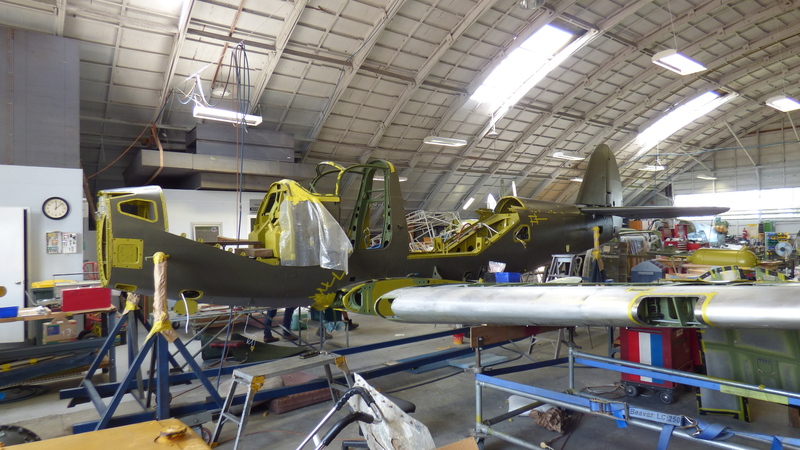 The plot thickens: the updated Pioneer page now says this aircraft is P-39Q "Ex Soviet Airforce, recovered circa 1995 being restored to fly as USAAC 220341". Going through Goodall (http://www.goodall.com.au/warbirds-directory-v6/bell.pdf) this was reported at Wangaratta in 2008 and is "hulks & parts of 2 aircraft". Further up the page I found this intriguing little snippet: "P-39D Nick Taylor, New Zealand: static rest. 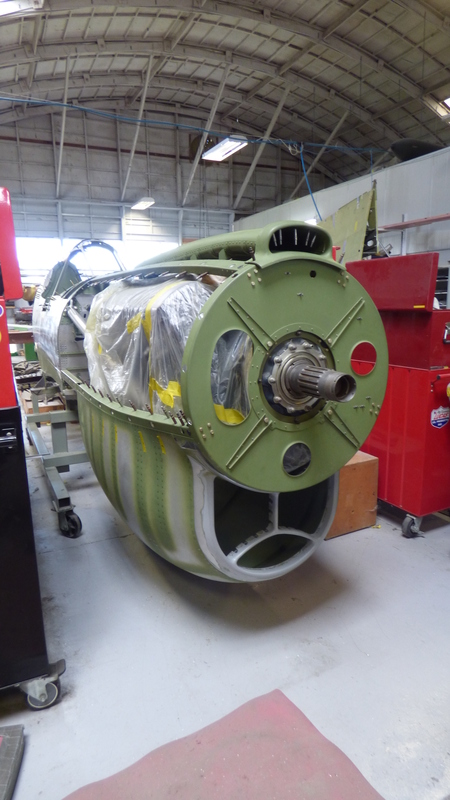 project (based on wreck fuselage, tail, nose section & parts) 03/04"
Lots of intriguing snippets on Geoff Goodalls directory. If most are true then there are many more aircraft being restored / stored than are known. Trawling through Geoff's pages is certainly a fun way to pass the time! Here are some photos I took during my visit on Monday at Pioneer. The P-39 is looking fantastic. 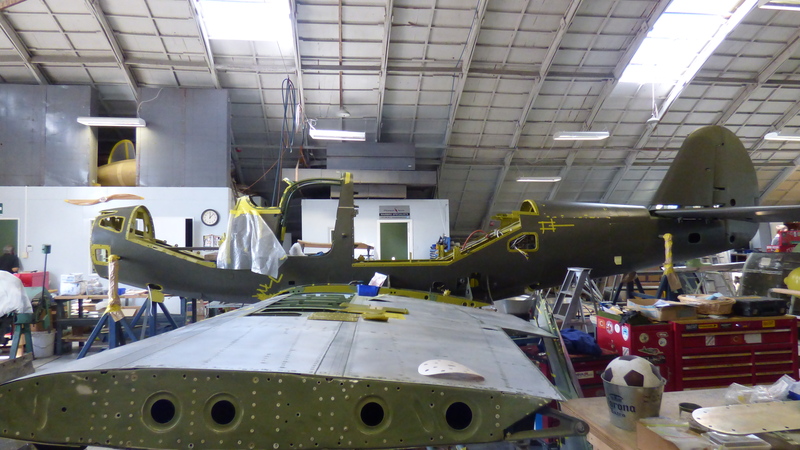 The P-39 and the Ki-61 Tony are the two projects I'm most excited about at the moment, great to see the P-39 is progressing so well, hopefully there will be the opportunity for it to be displayed a bit here before it goes offshore. I've enjoyed your photos on my phone, Dave, but it's a joy to see them on my PC screen. 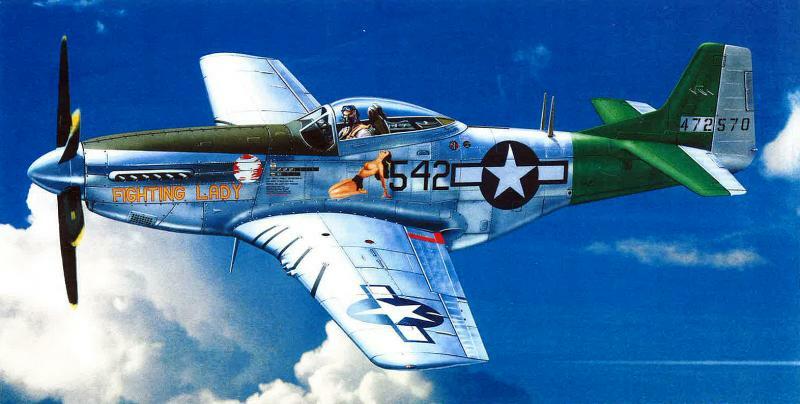 The P-39 is looking so good and, like Leo, I'm hopeful we get to see it around and about for a wee while. 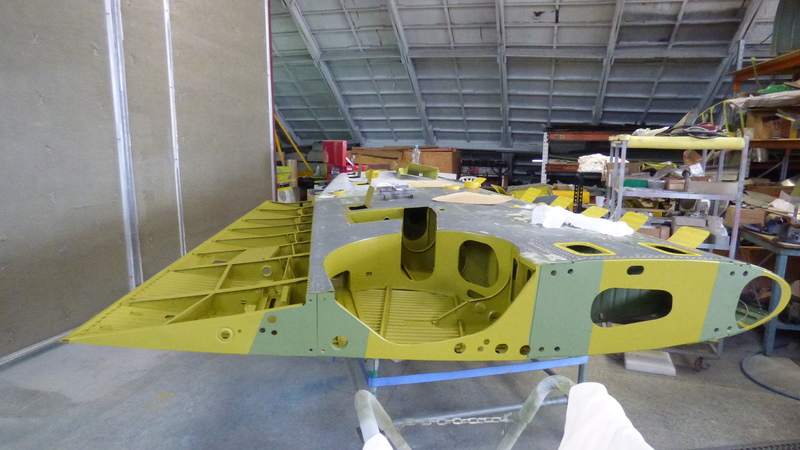 The P-39 is getting close! You know you are getting to the business end of things when you are building wing root fairings and fitting out the cockpit. hangar that Pioneer reside in, love the structure of the roof, obviously quite old with some history? Back on topic the P40 where was she recovered from and how far from flight is she? 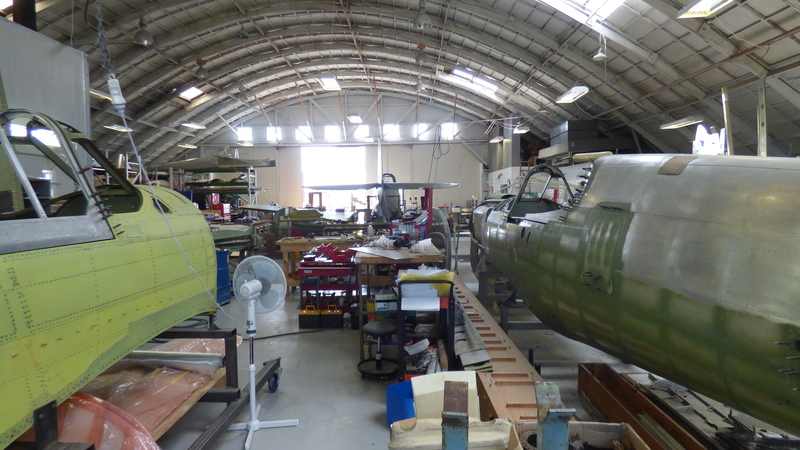 The hangar is a genuine WWII hangar, built around 1943. There are several still in use on the airfield. 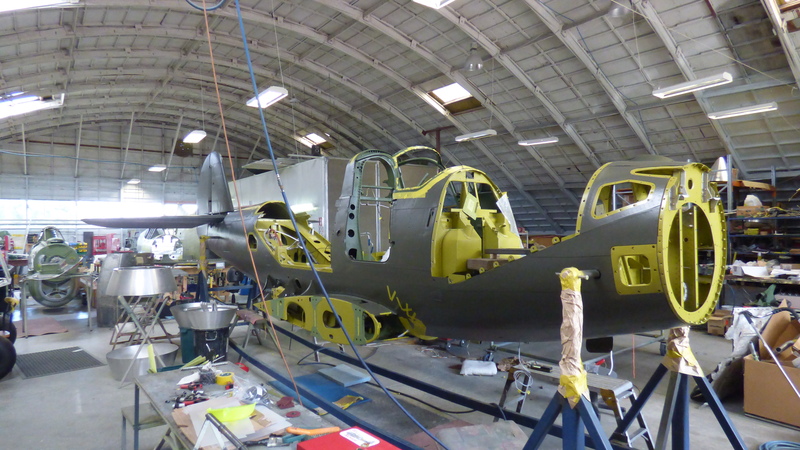 The two P-40's currently undergoing restoration with Pioneer were both recovered from Russia. There are 2 1/2 Ki 61s there and 2 Kingfishers. Biggest problem facing the Ki 61s is a suitable powerplant. Is there potential to do an Allison as in the Erikson BF109/HA1112? Apparently not. to start with the fuselage side structure forms the engine mounts. To this very day, the kid who used to bully me at school still takes my lunch money. On the plus side, he makes great Subway sandwiches. It's looking stunning already! Interestingly for an aircraft that was somewhat maligned by the masses, Chuck Yeager, Bob Hoover and Eric Brown all raved about it, so it must have been alright really. It doesn't feel like three years ago this arrived! I really enjoyed seeing the photos here and on Facebook and it's given me excitement like I've not felt for a while. Bravo Pioneer and keep up the great work!